As a reader who wants to make the most of my long commute, I'm always on the lookout for bookish podcasts that will introduce me to new titles, connect me with authors, and expand my literary world. Here are five of my favorites. In our recent Humans of Libraryland interview, I said that my favorite podcasts are ones where smart and interesting people talk about the stuff they love. All the Books is a quintessential example of that. 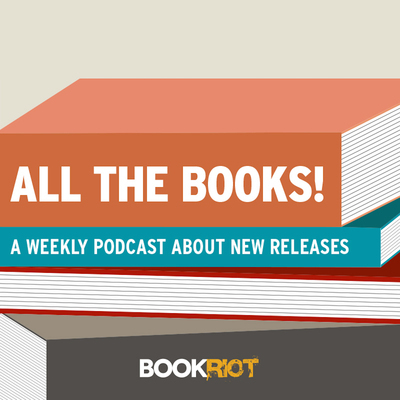 Each week, the rotating cast of hosts talks about 8 new books. Sometimes the books are titles that I'm already looking forward to, but more often than not, most of them are new! It's a great way to stay up on the newest releases, and I've been listening so long that Liberty, Rebecca, and the other hosts feel like old friends. Almost all readers have books we love to hate. This podcast celebrates the worst (and best) of them, from love-to-hate-it classics like Flowers in the Attic to newer titles like Ready Player One, librarian Renata and writer Kait and their special guests break down bestsellers (and other books), suggest read alikes, and get the opinion of Duarte, Renata's cat. What I love about this podcast is that although the hosts are merciless about the books, they're never judgmental about readers. 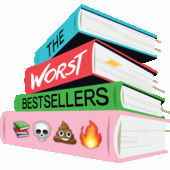 The Worst Bestsellers is full of colorful language and definitely not safe for work or car rides with kiddos - but it's a great listen for adults who love books. 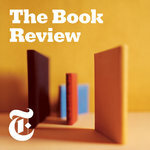 If you like author interviews, the New York Times Book Review podcast is the best place to find big names talking about their new books. Recent guests include Kate Atkinson, Tana French, Lee Child, and director Berry Jenkins, whose newest movie is an adaptation of James Baldwin's If Beale Street Could Talk. The Book Review podcast is more serious than The Worst Bestsellers and more focused than All the Books. If you want to hear directly from the authors themselves, and you like a more traditional tone (think NPR) the Book Review podcast is the way to go. This podcast, produced by Overdrive, does a little bit of everything: author interviews, monthly new book previews, deep dives into special topics like Harry Potter, fairy tales, books for babies, and more. Hosts Adam and Jill just love books (this one also hits the "interesting people talking about things they love" sweet spot). It has a more casual vibe than the Book Review podcast, and in addition to a huge range of authors, they sometimes feature librarians, including Seattle's own Nancy Pearl! And last but not least, The Desk Set! 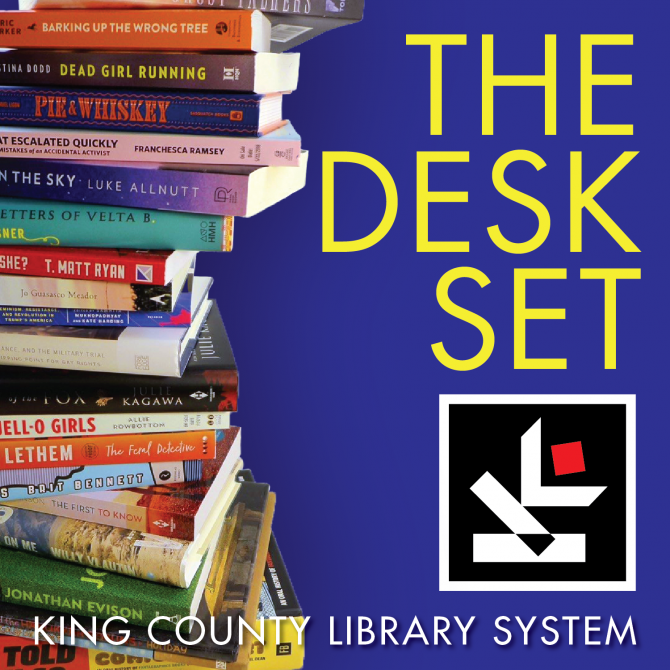 This is KCLS's new podcast; it focuses on the categories and themes of 10 to Try, our annual reading challenge and combines the bookish enthusiasm of All the Books and The Worst Bestsellers with author interviews and book-related discussions. We just released our first season of 5 episodes, which includes interviews with authors, chefs, translators, and bookstore owners, a discussion of our favorite and least favorite book-to-screen adaptations and more! Subscribe now and you'll be notified when we release our Best Books episode later this month.